When it comes to selling your car, you want to get the most out of it. You might find yourself asking what is the value of my car worth. A lot of people would be surprised at how much the car is really worth even if it's damaged and not running. If you are in the market for a new car selling your old one should be your top priority. If you don't know a lot about selling cars these tips will help you get ready so you can get the most out of your car, so find out what your car is really worth. There are many reasons to sell your old car including moving, your family is growing, it isn't practical anymore, and you've got a new job. If you have a baby on the way your old Corvette might not be the best car to take them out on the road with. Another reason you might find it's time to sell your old car is if it is going to cost you more to fix it then it will to just purchase a new one. Sometimes cars wear out over time and as difficult as it can be to say goodbye, you just have to move on. It is important for safety reasons and so your car doesn't break down on the side of the road. It's a good idea to ask yourself the question what is my car worth before you move forward. The first thing you are going to want to do is to find the VIN number of your car. This is the way your car is identified when trying to figure out what is the value of my car? Think of it like your social security number. All of them are unique to their own specific car. You can find it in your title, on the front of your car in the window, or your insurance card. To prepare for the sell do a little research on your state's documents like a release of liability and the title transfer so you have all the paperwork ready ahead of time. Next, you will want to look at everything about the car so you can accurately determine its value. In some cases, you will be able to fix things that will help bring the value of it up. So when you are trying to figure out how much is your car worth you need to know what's right and what's wrong about it. Replacing the tires is something you can do if they are looking worse for wear. You want to clean it up. Your car is going to sell a lot better when it is nice and shiny. Things that get on it like dirt and food remnants left on the inside can actually bring down its value. It also will look like you really cared for your car when you had it if you sell it in its best possible shape. If you want to take it a step further then you can have it detailed so that it really shines. The detail will not only clean up the car, but it will also take away any light scratches that may be on the car's paint. They will shampoo the carpets making them look fantastic and smell great. You should have your car inspected for any unseen issues that might be going on with it. If there is something noticeably wrong with the body of your car then you should try and make it look better. A huge dent in the front bumper can be pulled out and might help you sell the car for more money. It's a good idea if you can to purchase a Car Fax to give along with the car. This shows that it was never in an accident. Cars that haven't been in any wrecks are worth more than those that have been. Once you have everything together and have taken the necessary steps to make your car look better then it's time to determine a cost. Car buyers are often willing to negotiate and you should go in with a realistic number to ask for when finding out what is my car worth. You can check references like Kelley Blue Book and NADA Guides to find out what cars similar to what yours is worth. Just be as honest as possible about the condition of your car and you can find out exactly how much it's worth. You can take this information in with you when negotiating a price, and it can help you know when you are not getting the right offer for your car. The best way to sell your old car is to a place that pays cash, it's a lot less hassle for you and the transaction is a smooth one. Once you answer the question what is my used car worth you can visit 1 888 Pay Cash for Cars to sell the car and get the money you deserve for it. Once you make all the necessary preparations then selling your car there will be a breeze. 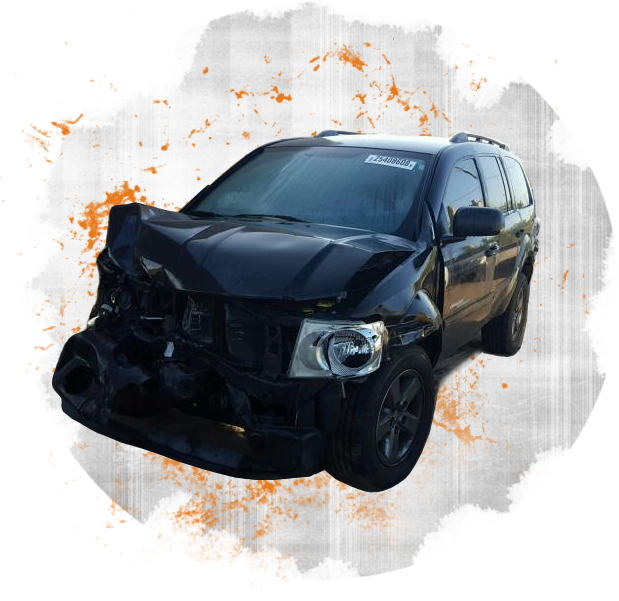 If your car is damaged beyond repair and not running it can still be worth something. Just follow the steps above to figure out around what it's worth and then call them for a quote. They will buy your used car in whatever condition it's in and give you top dollar for it. If it is a car you can still drive that looks nice you will get a lot more for it. You can call them or go to the website. They are available to help you anytime and have phenomenal customer service. You simply describe the details of the car to them telling them the answer to what is my used car worth and if they are interested they will offer you cash. You can either drive to their location or if the car you are selling does not run they will send someone out to tow it away. You will always get a fair price with 1888 Pay Cash for Cars and it is a great way to sell quickly and efficiently. JunkYard car buyer near you? Earn cash for junk cars with 1888 Pay Cash for Cars. Over 25 years of experience in the car-buying industry, our company is one of the largest and oldest accredited car removal services in the USA. Copyright © 2018 1888paycashforcars.com. All rights reserved.